Lorch is more Mittelrhein than Rheingau. It has a different soil from most Rheingau wines. 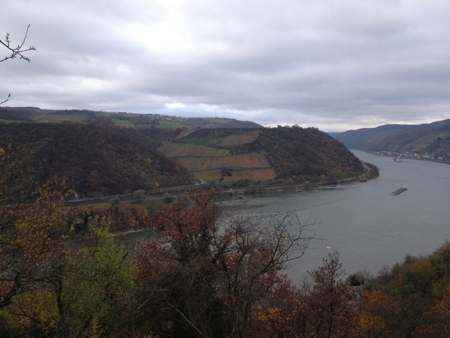 In this 65-km stretch of the Rhine Valley, the river flows north with steep slopes and some 40 hilltop castle ruins. 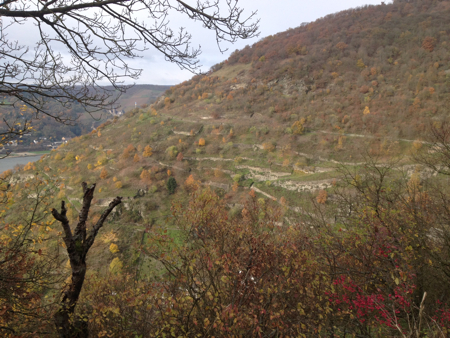 It's part of the Rhine Gorge or Upper Middle Rhine Valley, which is a UNESCO World Heritage Site. 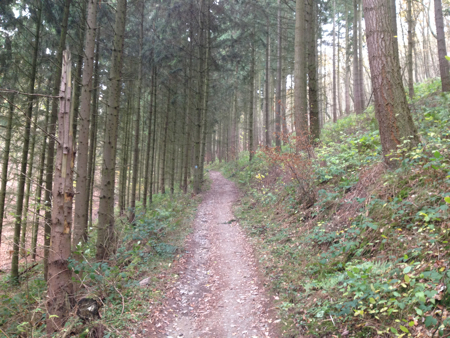 Last Sunday, my girlfriend and I hiked from Lorch to Kaub. 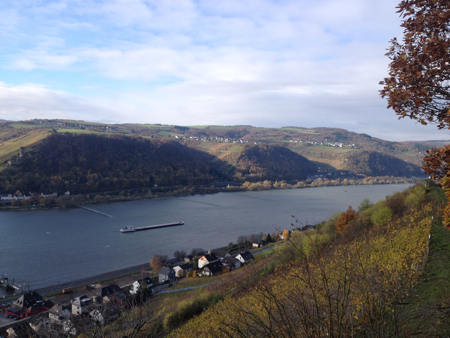 It's part of the hiking trail known as the RheinSteig. 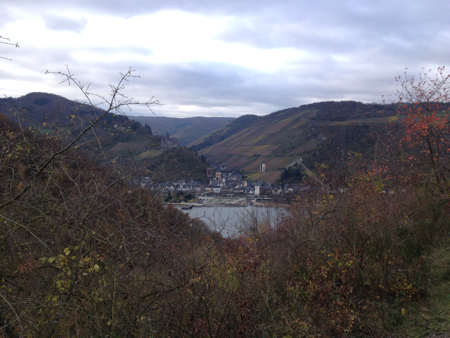 The four-hour hike took us along the right bank of the Rhine River, up and down hills and into wooded side valleys. 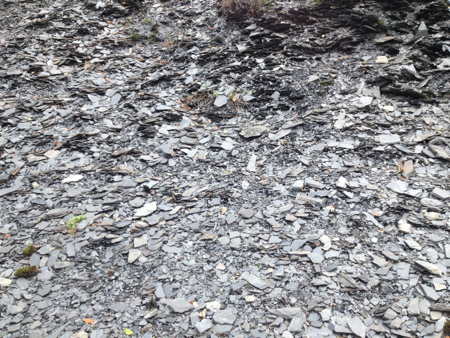 The slate soil in these parts is primarily gray. There is plenty of quartz crystals as well. It reminds me of the slate soil on hikes in the Ruwer and Saar valleys. Some sections around Lorch, Lorchhausen, and Kaub are stonier than others. Yet much of the vineyard land is uncultivated. 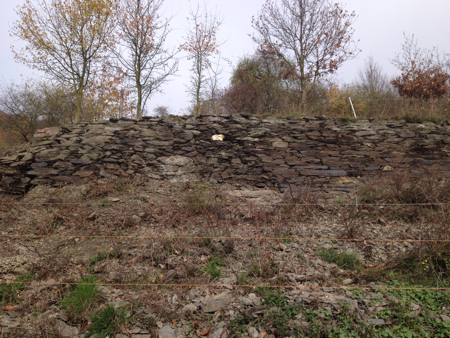 These south-facing slopes are quite steep with terraces of dry stone walls. The vineyards are difficult to cultivate in these parts, as there is no place for tractors here. The work has to be done by hand. Hence the costs of production are high. 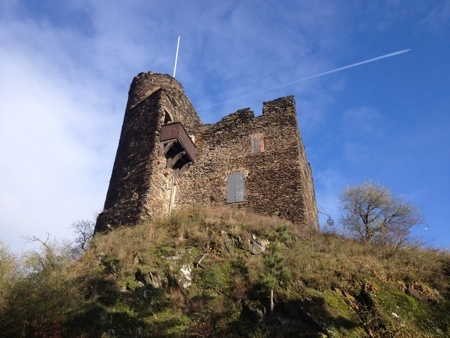 Photograph of the Nollig Castle ruin above Lorch.